Thank you for printing my photograph for me. 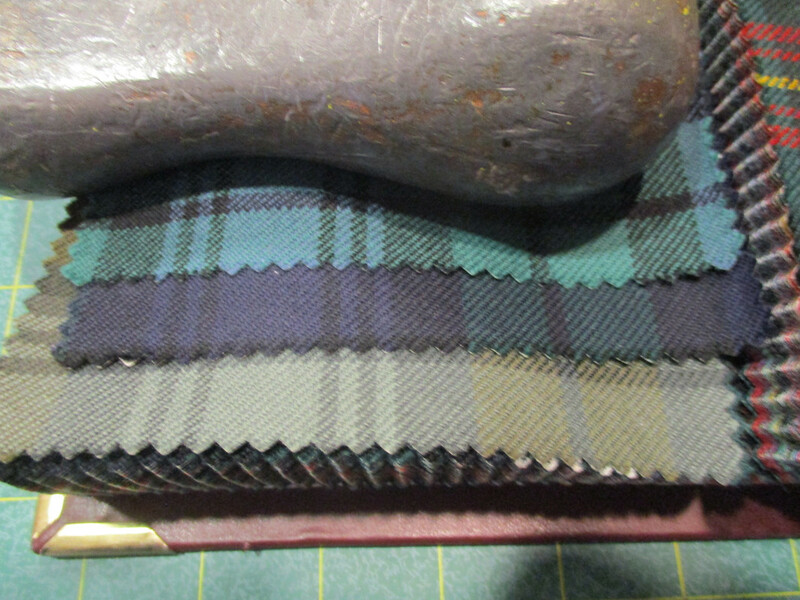 My second attachment showed the Scotweb sample of McIntyre Old Hunting Ancient with the exact colours I wanted. The items I got match Scotweb's example of McIntyre Old Hunting Modern. Would you mind publishing my second attachment to clarify the position for readers of your forum? The following scanned page shows the McIntyre Old Hunting Ancient as shown on Scotweb's tartan finder. It is exactly what I wanted and ordered The item I got was what Scotweb's tartan finder labels McIntyre Old Hunting Modern. I do not understand why I cannot get what Scotweb advertise as available, please see picture. The problem with the graphic is just that, it's a computer generated image rather than a photograph of an actual piece of cloth. Matching an older specimen without a special weave with the dye-lots matched is, unfortunately, always likely to be less that satisfactory. Again, if its any comfort to you, find some pictures of the Atholl Highlanders------Europe's only private army----- they all wear the same tartan, but quite often-----usually in fact------ the tartan of the kilt will not match their shoulder plaid and its not unusual to see three or four tartans of the same basic Clan tartan, but of different shades, on parade at the same time, but it is still the same tartan. If it does not worry them then perhaps, it should not worry you. I should also add, that I have no connection with Scotweb, whatsoever. Last edited by Jock Scot; 10th February 19 at 08:05 AM. I'm Stewart (Retail Manager at Scotweb). Nick has asked not to step in and see if I can assist. I'm not in work on a Sunday, but I'll look into this an email you tomorrow. Thank you Steve for the excellent explanation of mill variances. How about this Tartan, a perfect match found on the DC Dalgliesh's website. You must have missed this one, McIntyre Old Hunting Ancient. Pardon my bluntness, but here's the deal: You just don't know enough about what you're wanting to get what you want. There are five major tartan mills which produce stock tartan fabric for kilts: Lochcarron, House of Edgar, Strathmore, Marton Mills, and Dalgliesh. Yes, there are other mills which produce tartan, but most of the kilts that one sees are made of fabric from one of those mills. 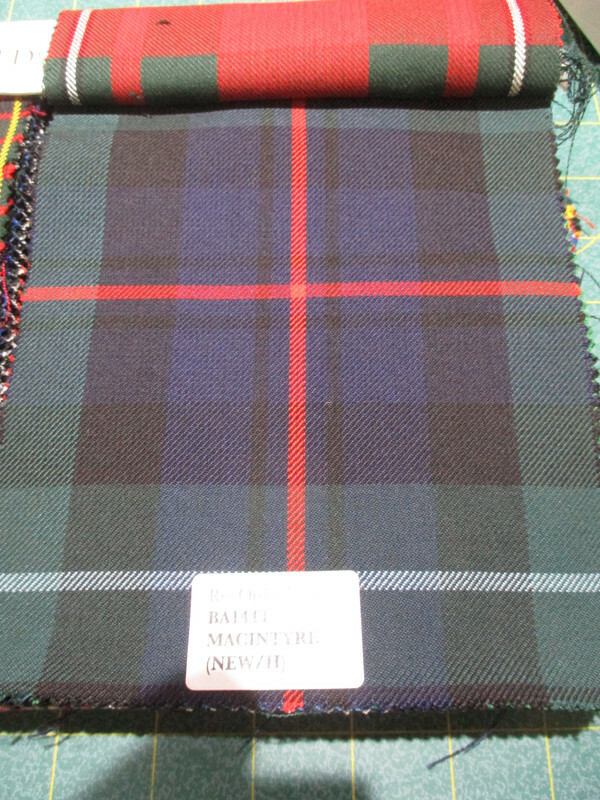 If you are dead set on getting tartan items that match your current kilt (not a concern of most Highlanders in Scotland), you need to be able to specify which mill wove the fabric and which weight the fabric is in. Color scheme (ancient, modern, muted, weathered, reproduction) is pretty obvious by looking at the tartan IF one is experienced in dealing with tartan from these mills. Specifying tartan name, mill, fabric weight, and color scheme will then make sure that you're getting exactly what you want. From the looks of it, I'd guess your kilt is from Lochcarron fabric, probably 13oz., in the "Ancient" color scheme. The tie and flashes are made by House of Edgar in their "Old Colours". Most of their tartan is 13oz., so that's what I'd guess as to weight. Lochcarron makes ties in 11oz fabric that will be a closer match to your kilt, but not perfect, as the shades used in those two weights of fabric are slightly different. Ditch the digital tartan finder programs. Order swatches from different mills if you need to, to get what you want. Last edited by davidlpope; 11th February 19 at 11:45 AM. Precisely and think of the time and angst it will save. And think of the time and angst saved by arriving here, leveraging the combined experience and knowledge. there was to learn than they had ever realized existed. of good folk always ready to throw together some assistance. Last edited by tripleblessed; 12th February 19 at 11:45 AM.